The neighborhood of Soho is notorious as the epicenter for shopping in the city, but the nabe that was once flooded with storefronts has seen a decline in long-term designer mainstays. Rent is too damn high! But all those closed doors open up another possibility: A place to host short-term pop-ups. Retailers are redefining the shopping experience to get people to shop IRL instead of URL, turning stores into a selfie-taking playhouses, hosting panels and events with influencers, and enticing customers to throw down cash on their merchandise in exchange for real tattoos. Aside from nabbing products, creatives are taking advantage of these dormant spaces and utilizing them as blank canvases to spotlight certain artists. This is exactly what Laura O’Reilly, CEO of Wallplay, has done to create the latest experiential attraction to hit Soho: On Canal. If you’re unfamiliar with Wallplay, it’s a business that takes over vacant stores and turns them into public spaces for programming. Co-curated by Sonny Gindi of Vibes Studios (a local creative agency), more than 20 abandoned venues in the ’hood are now hosting public and immersive art exhibitions. 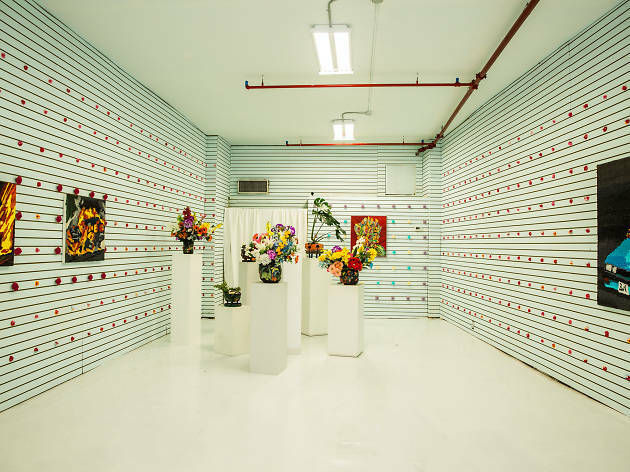 Soho has become one giant, free art gallery. Open now through September 1 (when a new batch of artists and partners will curate another set of activities and installations), pop into the storefronts Tuesday through Saturday from noon to 7pm. The spaces are open late (until 9pm) on Thursdays. 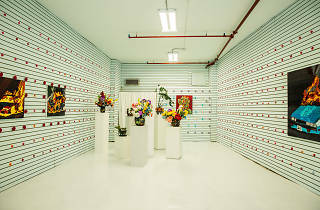 The current exhibitions include "an immersive flower shop" filled with sculptures and paintings by artist Caroline Larsen. (You may have seen Larsen's work before at the Hole, a nearby art gallery which is presenting this particular display.) There’s also a pop-up theater created by director Colm Dillane which hosts a daily open mic series and comedy events. And for VR fans, check out a virtual reality work by DiMoDA 3.0 that lets you try on VR headsets to see (literally) unreal floor-to-ceiling projections. Take a peek of what there is to see below, but make sure you go check it out in person. Art is meant to be seen, if you get what we mean. For more information on the locations and the exhibitions, click here.